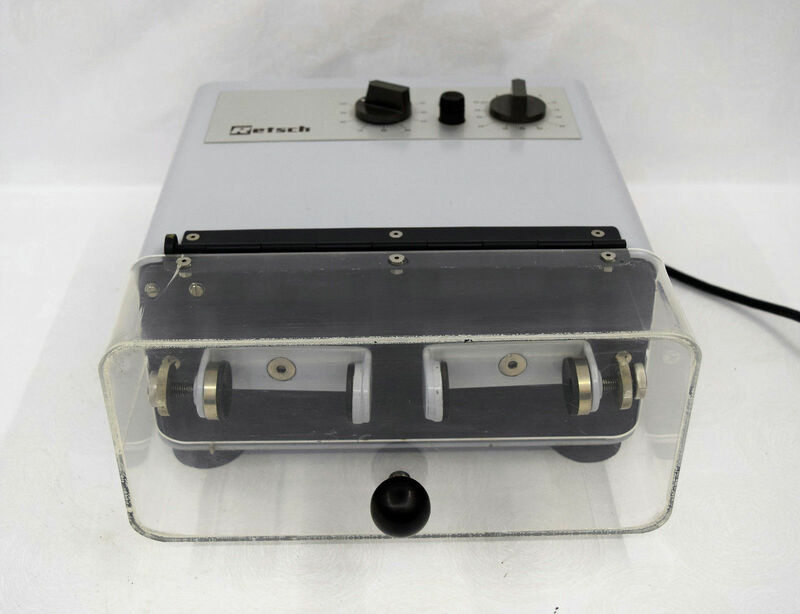 Retsch MM2 Mixer Mill Homogenizer Cell Disruption Radial Oscillation . New Life Scientific, Inc. The Retsch MM 2 has minor cosmetic blemishes, but remains in good cosmetic condition and functional. The technician examined this instrument externally and internally for signs of damage or potential dysfunction. The timer and cable nut were replaced and the homogenizer was tested for basical functionality. The timer works, the speed adjuster responds, and the technician noted there was not excessive noise.